Iran's nuclear capabilities have been the subject of current international negotiations, and both President Barack Obama and the Republicans in Congress receive poor marks for their handling of relations with that country. The poll finds that self-identified Republicans are more likely than Democrats to view Iran as a threat that requires military action now. The public's assessment of President Barack Obama's handling of relations with Iran is net negative: just 38 percent of Americans approve of the job he is doing, while more, 47 percent, disapprove. Republicans and Democrats hold opposing views; 75 percent of Republicans disapprove of the President's handling of Iran, while 69 percent of Democrats approve. Independents' views are more negative than positive. 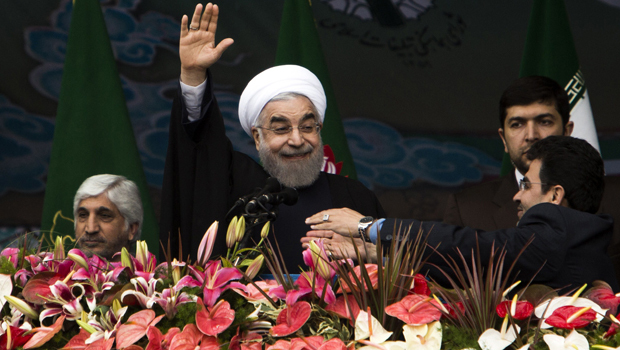 Is nuclear deal with Iran within reach? Republicans in Congress fare worse on their handling of relations with Iran - public disapproval outweighs approval by two to one. And while 45 percent of Republicans approve, 31 percent disapprove of how members of their own party in Congress are handling relations with Iran. Is the U.S. making too many concessions in Iran talks? Three in four Americans view Iran's nuclear program as a threat to the U.S. Forty-five percent think it is one that can be contained for now, while another 29 percent think it requires military action now. Forty-five percent Republicans view Iran's nuclear program as a threat requiring military action now, compared to 20 percent of Democrats and 28 percent of independents. Twenty-five percent of Democrats think Iran's nuclear program is not a threat, compared to only 10 percent of Republicans and 18 percent of independents. This poll was conducted by telephone March 21-24, 2015 among a random sample of 1,023 adults nationwide. Data collection was conducted on behalf of CBS News by SSRS of Media, PA. Phone numbers were dialed from samples of both standard land-line and cell phones. The error due to sampling for results based on the entire sample could be plus or minus three percentage points. The error for subgroups may be higher. Interviews were conducted in English and Spanish. This poll release conforms to the Standards of Disclosure of the National Council on Public Polls.